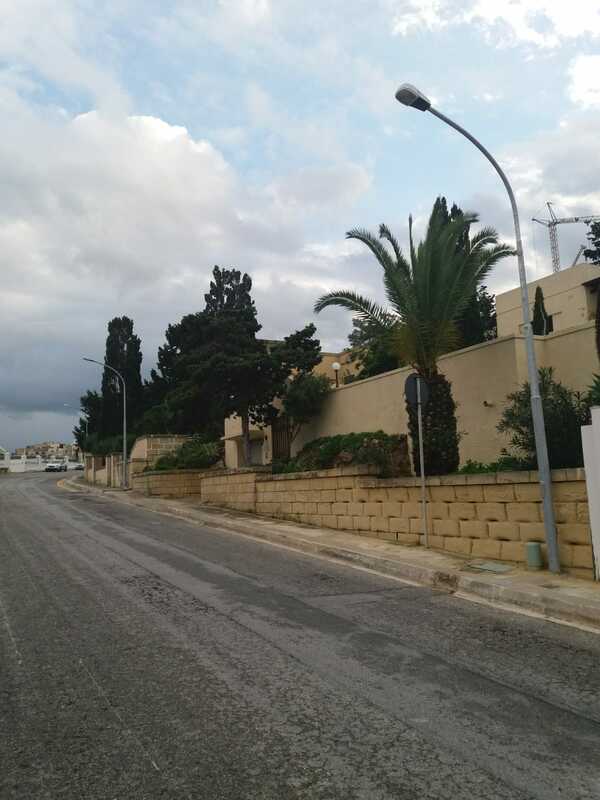 The Mellieha Local Council notifies that Infrastructure Malta will be carrying out infrastructural works along Triq il-Marfa, from Triq Adenau (Maritim Hotel) up to the roundabout at Dawret il-Mellieha (Seabank Hotel). 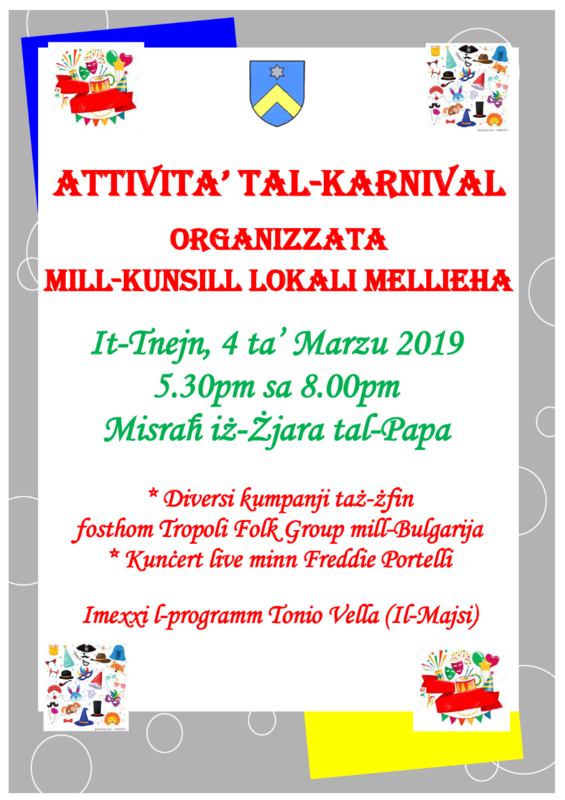 For this reason, Triq il-Marfa will be closed to traffic from the 1st April onwards and therefore the Mellieha Local Council will be providing a minibus shuttle service from Triq Adenau (Maritim Hotel) to the Selmun roundabout (Valyou Supermarket) and vice-versa from 05.00hrs to 22.00hrs. Residents in Ghadira are to make use of bus stops that are located close to the Seabank Hotel. It is important that anyone travelling in the direction of Ghadira, Ta' Gerbulin and Cirkewwa, to proceed through Triq Lewis Wettinger and Dawret il-Mellieha. Access to Ta' Gerbulin and Tas-Sellum zones will be remain possible from the Seabank Hotel roundabout until works will be in progress along Triq il-Marfa on the way to Mellieha. 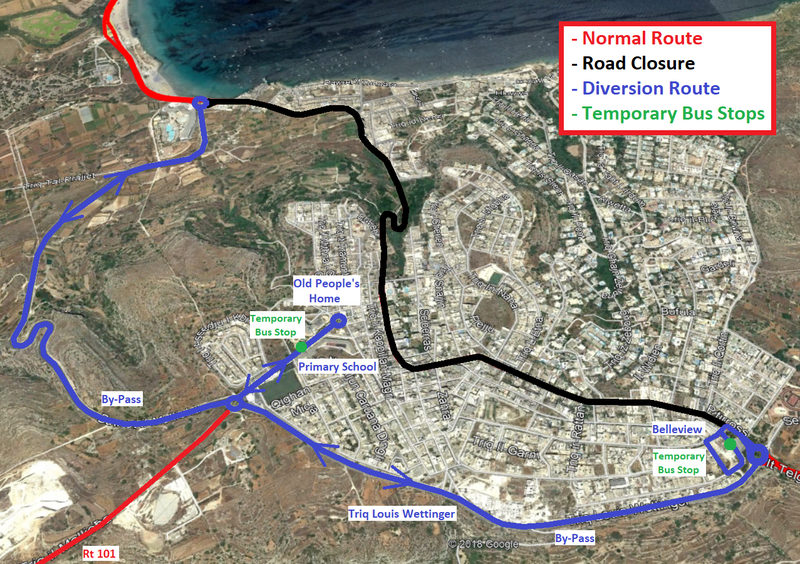 Triq l-Erwieh will be left open as long as works permit. Route buses will be plying through these roads and on arrival at the Ta' Pennellu roundabout, they will proceed all along Triq Qasam Barrani and back. Further details about other traffic arrangements that may be necessary will be announced in due course. Whilst we seek your cooperation, we apologize for any inconviences caused.